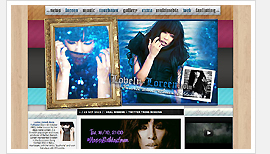 Lovely-Loreen.com is a fansite dedicated to the talented singer, songwriter and music producer - Loreen Talhaoui. It is created by her fan and was opened on 1th of September 2012. The website is created in order to support Loreen & her music and as a tribute to her enormous talent. Thank you for your visit and all your support through the years!